As weddings have become some of the most powerful fashion moments of the year, finding a dress that showcases the bride’s personal style, while also featuring unique styling touches that will stand out on social media, has somewhat turned into a wild goose chase. But according to the Lyst Wedding Report, there is one specific feature that is about to take over wedding dresses everywhere. In the past six months, searches on Lyst for gowns with pockets have gone up by a staggering 83%. 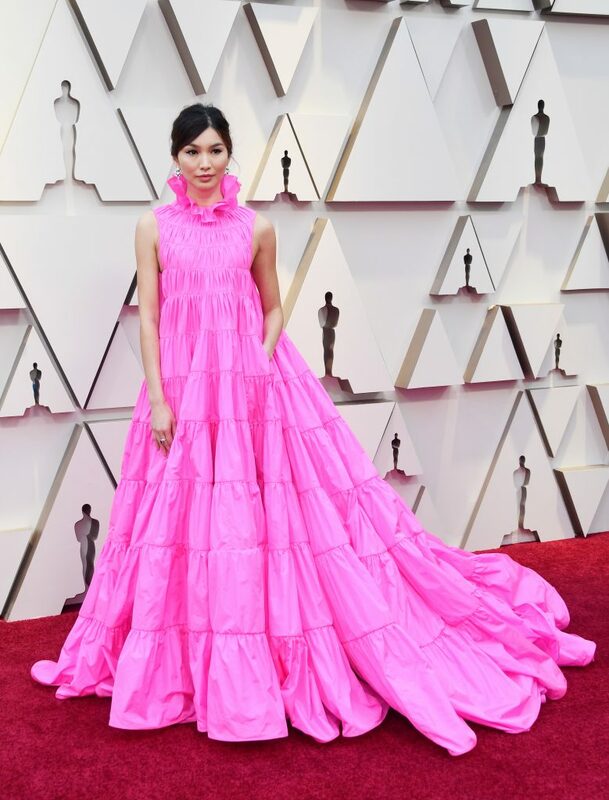 Also endorsed by celebrities like Olivia Colman, Sarah Paulson, and Gemma Chan at this year’s Oscars, we can expect to see them on the most stylish brides and guests this year. With the average length of an engagement now being 13.6 months, brides have been having more time than ever to find the perfect wedding dress, as well as more bandwidth to find something fun, something cool, and something stylish. More than 23% of brides on Lyst have also been opting for two wedding dresses or more, which indicates a desire to make the most of this special occasion. And with wedding hashtags now getting on average ten times more engagement than holiday hashtags, it’s perhaps no surprise to see that brides everywhere have been striving for stylish, ’made for Insta’ visual moments.